One of the main transformative powers of blockchain as I see it, is in creating a new framework for citizen engagement, knowledge sharing, and inclusivity – a paradigm shift that could drastically improve the water sector. 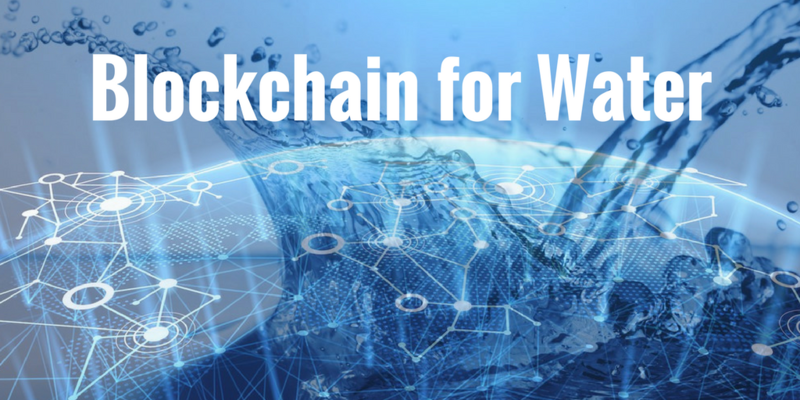 In part one of this series, I introduced the basics of blockchain technology to water professionals and then in part two I dove deeper into potential applications on the business side of the water sector. In this third part of the series, I will describe how blockchain technology has evolved and how it can create a digital enabling environment for improving water governance. Blockchain technology initially gained popularity in its humble first generation beginnings as a distributed ledger of information for the accounting of units, the best example being Bitcoin. These decentralised, secure, immutable, peer-to-peer ledgers of information enabled a new economic system that needs no third party (ex. a bank) to manage the exchange of funds. The success of this technology triggered the development of new capabilities and the rise of smart contracts heralded the second generation of blockchain technology. Smart contracts are simply programs that run and are executed on the blockchain. The smart contract defines the conditions under which the parties have agreed to and once these conditions are met, certain actions are executed. These programmed applications can be used for simple cases like escrow payments, which could be useful in insurance claims, water markets, or pay-by-results financing. A new generation of businesses and opportunities are emerging, built on this technology and pushing beyond simple cases to more complicated systems that involve tokenisation, prediction markets, and even smart impact bonds. For the purposes of this article, I’ll focus on the more simple applications of smart contracts and concretise the application of this technology with a few examples. Smart contract = if this, then that. The current standard is that insurance claims are slow to be paid out and require a large degree of human administrative activity to be processed, effectively increasing the cost for consumers. Insurers could code their policies into smart contracts, including pre-determined thresholds and measurable parameters like rainfall, satellite data, and GPS coordinates. Once the conditions for settlement are triggered in the event of a flood and verified by measurable parameters like satellite imagery (if this), the claim could be processed immediately (then that), allowing affected homeowners faster fulfilment of their policies and reducing the administrative burden for insurers. In pay-by-results models, robust budgeting for monitoring and evaluation is required and reporting takes on a significant role to ensure that quality evidence of impact is presented. Innovative ways to structure contracts include payments for achieving specific outcomes and these payment milestones need to be agreed upon based on clearly defined and unambiguous indicators. A smart contract could be designed for funds to be released once impact data is verified by monitors and evaluators, be they human, machine or a combination. Once the data is verified (if this), payments would be automatically released to the project implementers (then that), without delays and leaving behind a transparent and auditable ledger of information. A properly integrated digital water revolution would enable better water governance around the world. The OECD’s definition for water governance is “the set of rules, practices, and processes through which decisions for the management of water resources and services are taken and implemented, and decision-makers are held accountable”. The ability of blockchain smart contracts to establish transparent rules, encode practices, automate processes and incentivise actions could revolutionize an overburdened water sector and establish a secure digital foundation for good water governance. Blockchain is being explored at all levels of the water sector, and it is yet unclear which applications will prove to be appropriate in the long-term. An integration of open data with remote sensing, satellite imagery, IoT, AI and machine learning could allow predictive modelling based on real time water quality. Adding input data such as weather, nutrient flows and pollutants would help forecast water quality ahead of time in a river system as well as help companies assess their water risk. Beyond the business case for companies and water solutions providers, use cases of blockchain are being seen at the basin level. Blockchain is being trialled for data sharing, water trading, dam management, effluent monitoring and pollution control. The open data movement is gaining traction internationally and enabling innovation by removing the cost barrier to information. Recently, Canada’s Gordon Foundation held an event to showcase their solution to the lack of open water data sharing across the country. While many groups collect water-quality datasets, until recently there was no common or secure place to openly share this data. The siloing of information has led to data deficiencies across the country, limiting the ability to monitor the impact of policies and govern effectively. The Atlantic Datastream is an open-access platform where community members can share data and where users can access, visualise and download datasets that were assembled by various stakeholders across the region – government bodies, academics, monitoring groups. Using blockchain technology as the basis for data sharing improves security and authenticity, making data more accessible to communities, scientists and decision-makers, and creating an innovative framework for enhanced stakeholder engagement. This project will likely trigger positive impacts in regional water governance by closing the gap on water information and data sharing between institutions. Open data directly increases entrepreneurial activity and improved business services, so perhaps we will see a rise in water tech companies and water service in Eastern Canada as a result of these efforts. Along with data sharing at a basin level, water markets are viewed as a key area of engagement by blockchain enthusiasts, eager to showcase how the technology could improve water governance. While many regions are investigating the technology, Australia’s clarity on blockchain regulations, combined with the maturity of its water market has fostered a high level of innovation. Civic Ledger, an Australian civic-focused blockchain company, created WaterLedger™ as a way to improve transparency of water trading in the country’s water markets. The system’s integration of over 15,000 complex business rules and real-time updates of state water registries was enabled by smart contracts. Tangible projects like the Atlantic Datastream, WaterLedger™, and others are key to wider adoption of blockchain technology in the water sector. Beyond smart contracts, the emerging generation of blockchain projects and businesses are tangibly linking the digital and physical worlds in ways that incentivise good governance, value data, improve financing and liquidity for SDGs and empower citizens. Achieving SDG6 will reshape the global economy, create new opportunities for humankind, and will require investments at a global scale. With blockchain technology’s ability to incentivise actions, its application to SDG6 projects can become an innovative way to increase funding for water and create more transparency for investors. Through the use of digital economic incentives (cryptoassets, tokenisation and cryptoeconomics), new blockchain initiatives are enabling individual rewards for a common good and creating ways to avoid the tragedy of the commons as it relates to water. This game changing technology has the potential to not only support better water governance, but also to scale how impact in the water sector is achieved and funded.